Dr. Bannai is a graduate of UC San Diego. 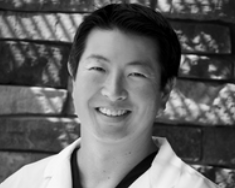 He attended the University of the Pacific Arthur A. Dugoni School of Dentistry where he graduated with honors and received his Doctorate of Dental Science in 2000. After receiving his DDS, Dr. Bannai participated in the AEGD residency program at UOP where he instructed senior dental students in all aspects of dentistry. Using the most advanced technology and equipment, Dr. Bannai is rapidly becoming one of the area’s leading cosmetic dentists. His commitment to continue training provides him the opportunity to go above and beyond every patient’s expectations. Dr. Bannai is an avid sports fan and enjoys playing a multitude of sports. He is a loyal fan of the San Francisco 49ers and the Oakland A’s. Above all, he enjoys spending time with his wife Carrie and their three children Marli, Miya, and Niko.It is his job for himself to enjoy life with his family and to continue his love for his passion. Having a life with full of commitment to his patients is his greatest gift to everyone.